Last week I wrote a post on The Entertainer's Easter unboxing event which would be happening all this week. C had preschool on Monday and Tuesday so we were only free to attend Wednesday's unboxing. I was keeping up to date with the #TheEntertainerUnboxed hashtag on Twitter so I did see the other toys that had been unboxed previously and felt pretty up to speed. 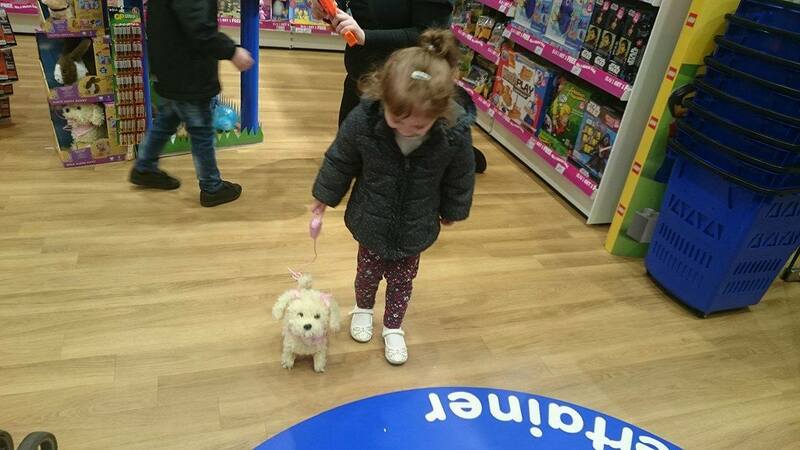 We arrived at our local Entertainer store (CastleCourt, Belfast) at 9am. I was aware that the actual unboxing would be taking place around 10am but because my past visits to The Entertainer had been flying ones, I was happy enough to have a look around at what they had to offer. The children's birthdays are both in September so they were running around telling me which toys they wanted to add to their "birthday list." I must make a point of saying that they staff were all so lovely. Kayleigh, Jennifer, Lindsey and James were the staff members that we encountered and they all went above and beyond to make it an enjoyable experience for the children. 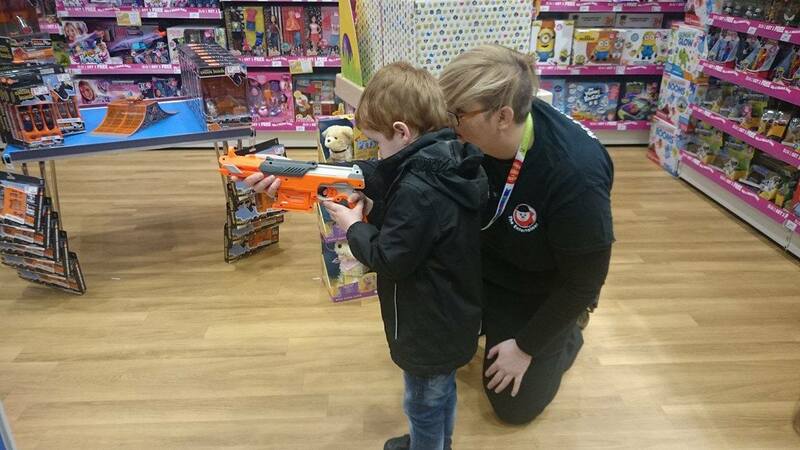 As we were there so early and the shop was relatively empty (understandable at 9am on a Wednesday morning), Kayleigh very kindly invited C and E to have a play with the two toys that were unboxed on Monday and Tuesday; Little Tikes My First Flyer RC Helicopter and a NERF gun. Both of these were very well received by C and he had lots of fun having the freedom of playing with them in the store. 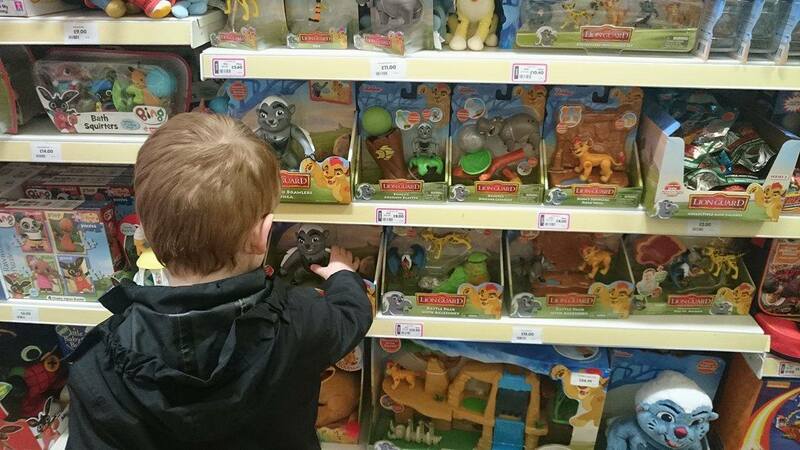 E much preferred the toy animals that were on display - something which I'm not surprised about at all. By this point, C had noticed the wrapped box complete with bow at the front of the store - Wednesday's unboxing gift! His excitement built a little by this point but we still had a little while to wait until it was time for the big reveal. We took this opportunity to browse the rest of the store that we didn't get to see earlier, then James let C have a go at driving an RC car around. He was giggling away to himself and having an absolute blast ramming it into things and knocking them over. 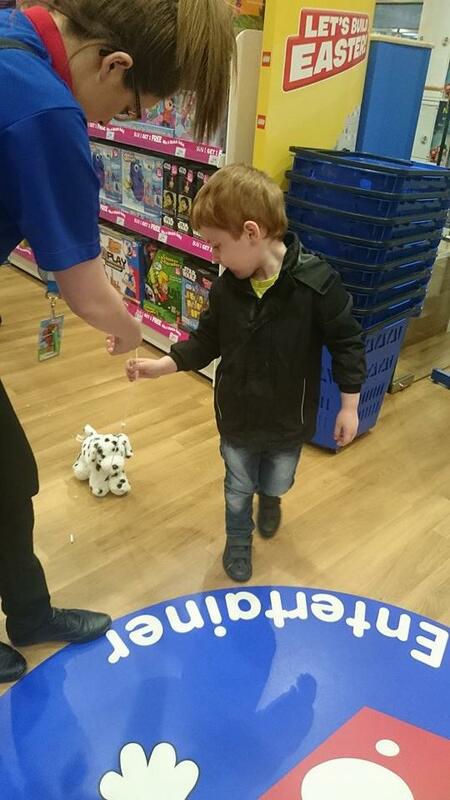 When it was time to unbox, the children dove right in and couldn't wait to see what was inside - it was a Wobbleez Dalmatian! They each had a little go at "walking" it around the floor. 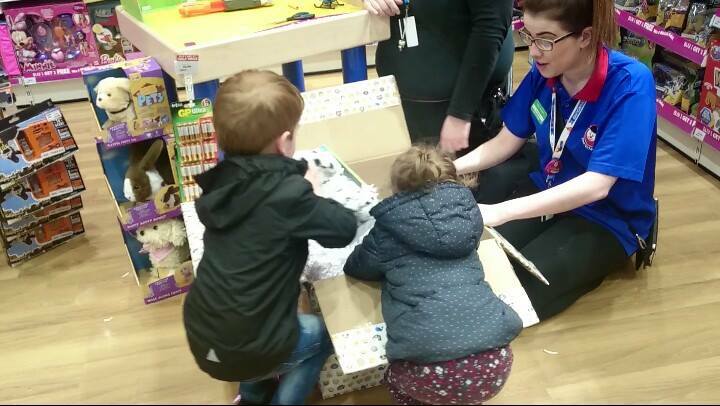 I think they really enjoyed the fact that they were able to have the toys opened and out of their packaging and they did surprise me as they didn't ask if they could take them home! 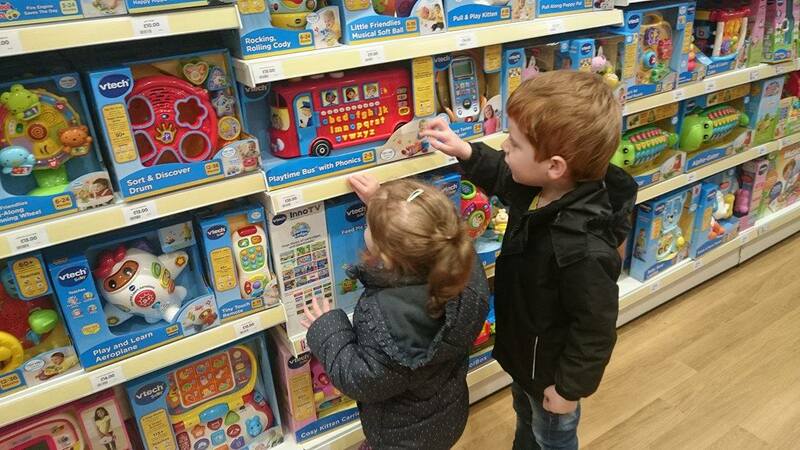 I let C and E choose a toy each to buy and getting to walk up the little steps at the front of the tills and scan their items was just the icing on the cake. C loves doing this sort of thing at the self serve checkouts at the supermarkets as it makes him feel very grown up and involved. C is the type of child who can either be very shy around new people and not speak much to them at all or he can instantly feel comfortable with you and tell you his life story. It was definitely the latter when it came Kayleigh and Jennifer especially. When they were choosing what to purchase, C actually told Jennifer that she was "the loveliest lady" and told me on the way home that he had hearts in his eyes for her because he loved her. 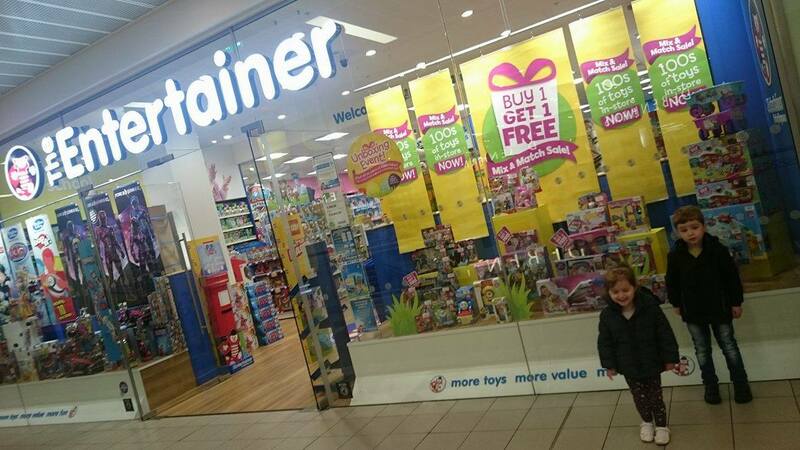 I definitely think he will making me bring him back to The Entertainer a lot! E also discovered that they had a mutual love of Disney Princesses so that makes her a winner in her book. #TheEntertainerUnboxed event concludes tomorrow (15th April) and I would definitely urge you all to get down to your local store to get involved. If you share your photographs on Twitter using the hashtag, you will be in with a chance of winning the entire set of unboxing toys! 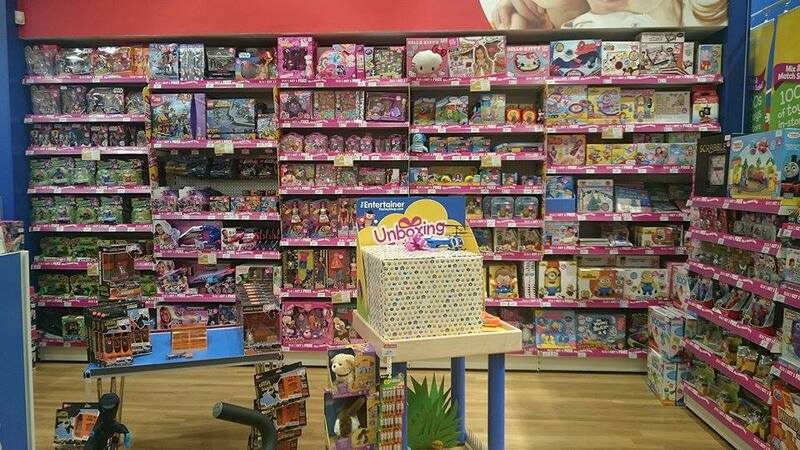 In addition to this, there is a fantastic Buy One Get One Free offer with lots of great brands such as My Little Pony and Star Wars. You can always stock up for Christmas (it's never too early to mention the C word when you have children)!